The McOlympian? : Tell Me More At the day of the opening ceremony American snowboarder and medalist Lindsey Jacobellis told NBC she eats only organic food. Not much of that at Mickey D's. It's day 5 of the Winter Olympic Games in Vancouver and the battle for the gold medals is well underway despite the unseasonably warm weather, the prop malfunctions and the safety concerns. Also underway are the steady stream of commercials from the major sponsors of the Olympic Games including fast food giant, McDonald's. You've most probably seen the ads. Maybe the one featuring the young girls hockey team or the one featuring Olympic athletes happily munching on chicken McNuggets. The tagline on the commercial is, "... you don't need to be an Olympic athlete to eat like one." Oh, and how right they are. 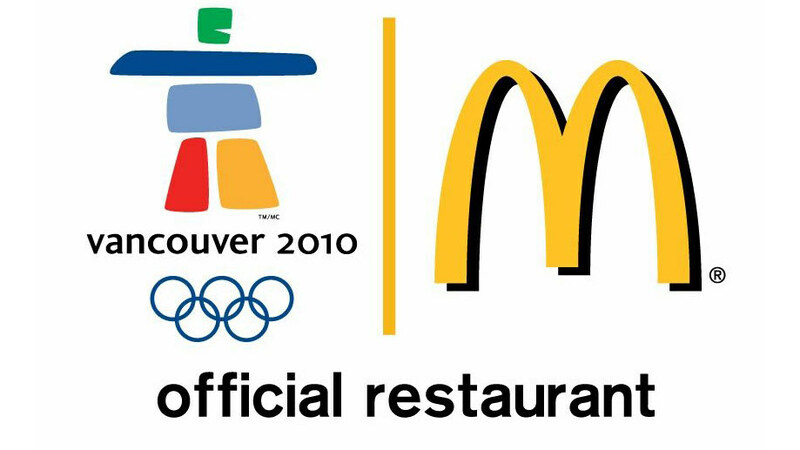 I bet there was not a single Olympian anywhere to be seen near a McDonald's for months before the Games. At the day of the opening ceremony, American snowboarder and medalist Lindsey Jacobellis told NBC she eats only organic food. Not much of that at Mickey D's. Just a couple of days before the start of the Winter Olympics, the contestants from the popular NBC program "The Biggest Loser" visited the Olympic Training Center in Colorado, where nutritionists showed contestants what Olympians really do eat. Surprise, surprise -- junk food, burgers and fries were not on the menu. Instead, they served lean meats, good carbs, and lots of fruits and vegetables. The food is designed to enhance the athletes' performance -- whether they need to gain weight, lose weight or maintain weight. Fast food was nowhere to be seen. Don't get me wrong. I am not a fast food hater and I do like McDonald's. But I hate that ad where the hockey coach takes the girl's team to McDonald's as a reward after they lost a hard-fought match. How does eating junk food constitute a reward? And does this ad really need to air so soon after first lady Michelle Obama has launched a nationwide campaign to combat child obesity? Can we just stop for a second and say, if you want to be an Olympian, then train like one, eat like one. And that means skipping McDonald's ... please!